Chicago's classical music community will gather at Orchestra Hall at 7 PM tonight at for a celebration of the life of critic, author, and broadcaster Andrew Patner. The public is invited. As reported here by the Reader's Michael Miner, Patner died February 3 at the age of 55. A journalist and erudite classical music critic for the Chicago Sun Times, he was a familiar voice on WFMT, where he served as critic at large (and where his archival tapes are still being broadcast). Members of the Chicago Symphony Orchestra and Lyric Opera Orchestra, along with jazz pianists Willie and Bethany Pickens, will be among those performing. It's free, with general admission seating. Doors open at 6:15 PM. 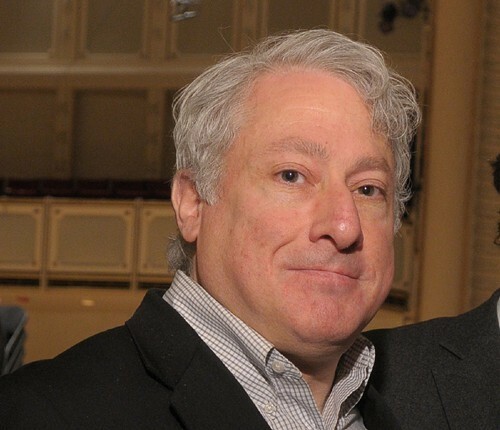 Chicago music critic Andrew Patner, who died last month, gets a memorable send-off at Orchestra Hall.